-operated company, we know how important it is for your household to inhabit a comfortable home, and that’s why we are committed to improving your home’s thermal efficiency. To achieve this, we offer premium insulation in a range of thicknesses and densities and rely only our own well-trained employees for installation as a way of ensuring that our high standards of workmanship and customer service are always upheld. 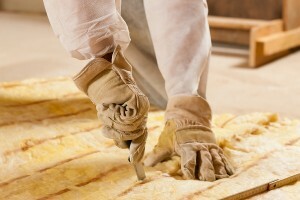 Furthermore, any worries you may have about the longevity of our fiberglass insulation can be put to rest. We offer top-of-the-line products from trusted brands like Owens Corning® and CertainTeed, to give your home superior protection from heat transfer for years to come. If you’d like to learn more about the benefits of our fiberglass insulation, contact 31-W Insulation today to schedule a free consultation at your Tuscaloosa home.